This mini amplifier making simple and compact in size and also used for laptop speaker amplifier. This circuit can be operate small voltage 3 volts to 9 volts and also carry with us. The input is taken from pin no.4 through variable resistor VR1 and capacitor C4. The variable resistor VR1 is used to select the Range of signal. Capacitor C2 and C6 is used to filter and quality where capacitor C3 and C5 is used to bias the audio frequency. The output of amplifier IC is obtained at pin 1 where resistor R4 and capacitor C8 is used as feedback component. The output is given to loudspeaker through capacitor C7 in order to produce sound. 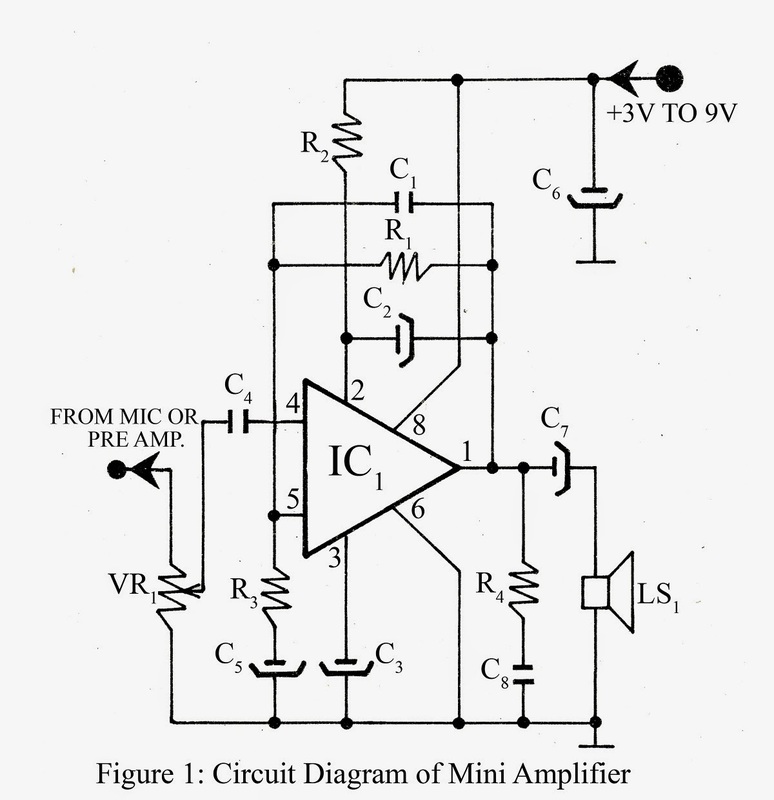 0 Response to "Mini Amplifier Circuit Diagram"